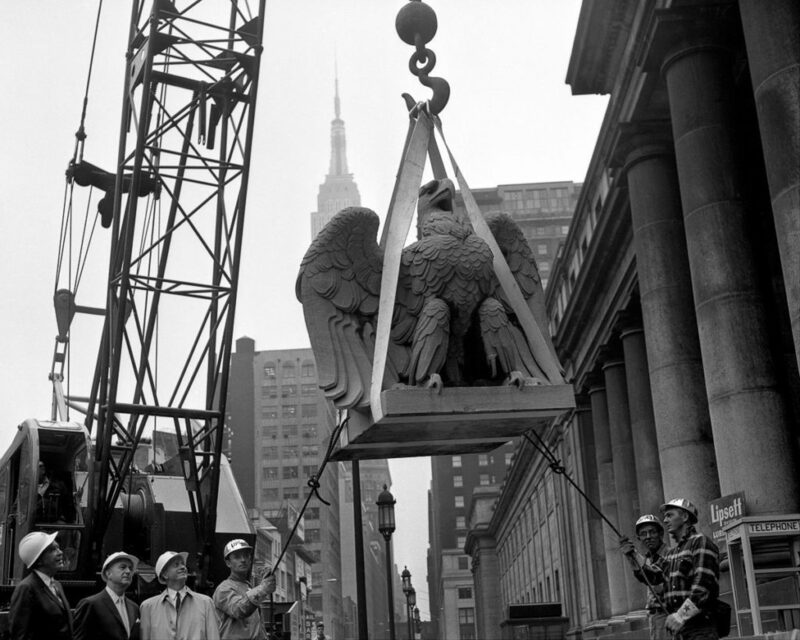 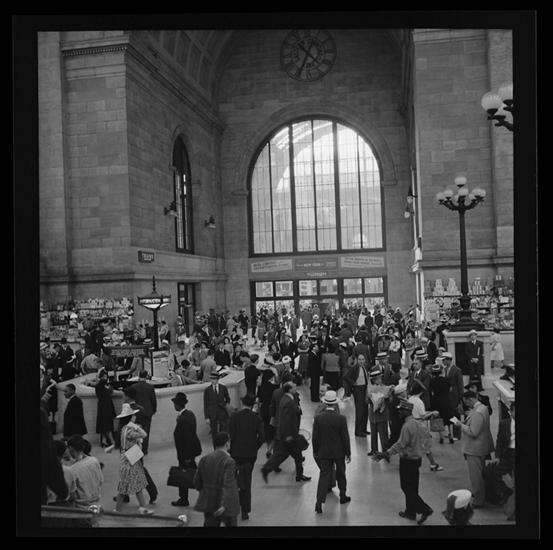 PODCAST Why did they knock down old Pennsylvania Station? 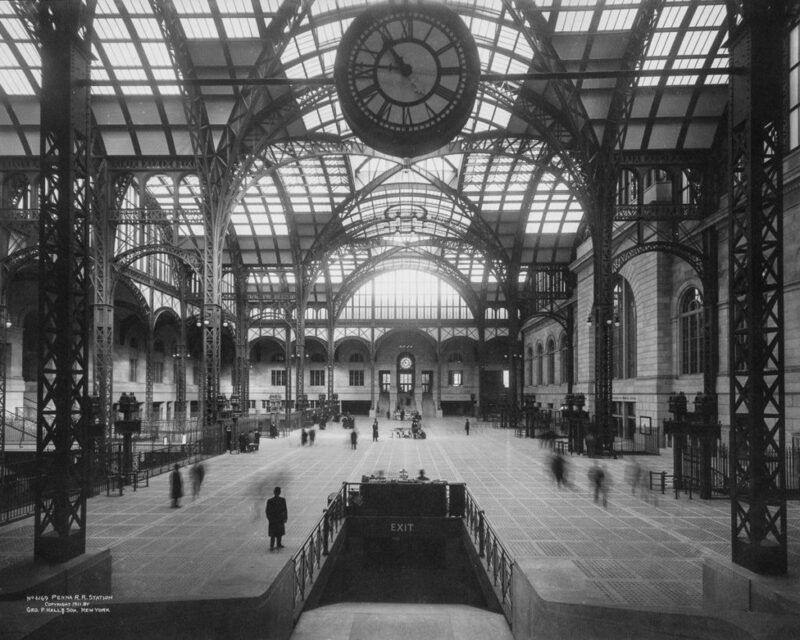 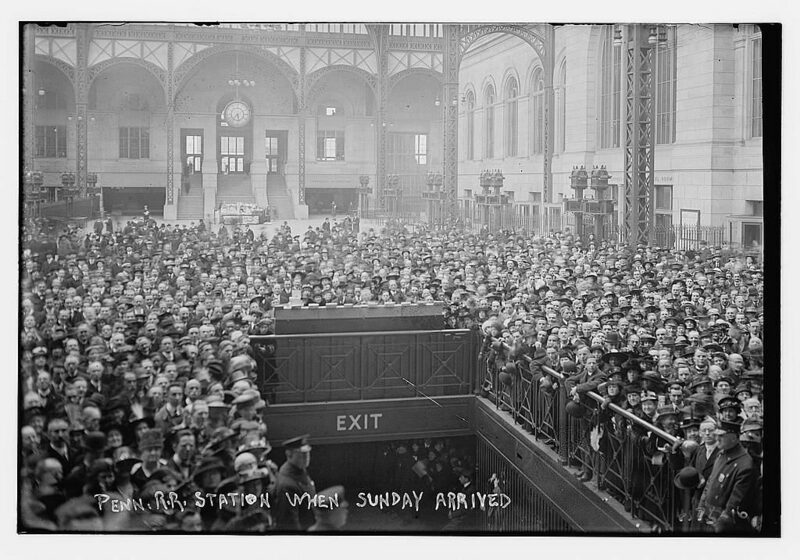 The original Penn Station, constructed in 1910 and designed by New York’s greatest Gilded Age architectural firm, was more than just a building. 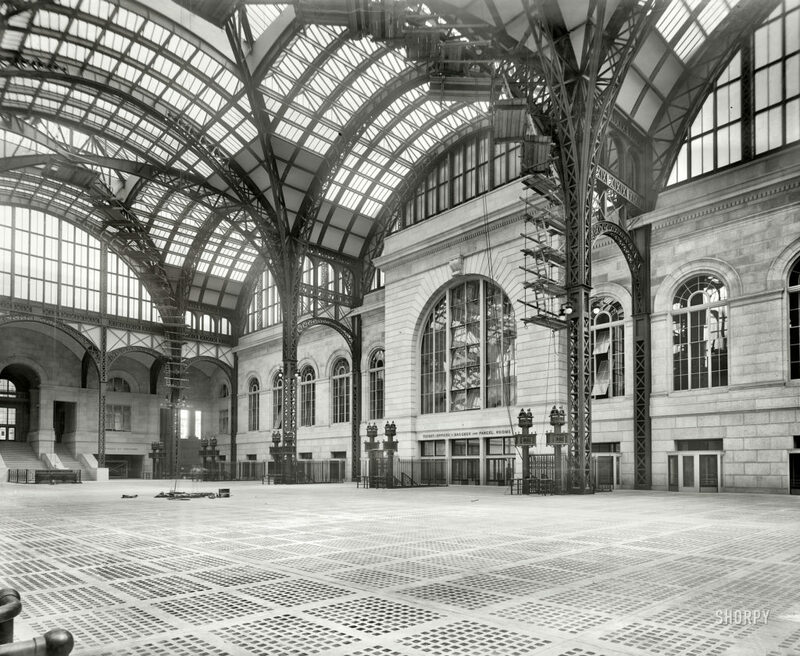 Since its destruction in the 1960s, the station has become something mythic, a sacrificial lamb to the cause of historic preservation. 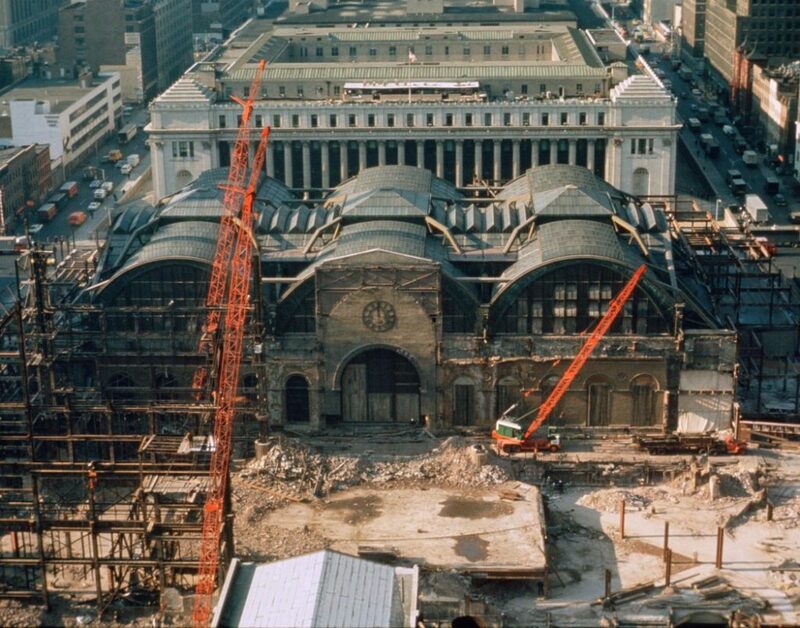 In this show we rebuild the grand, original structure in our minds — the fourth largest building in the world when it was constructed — and marvel at an opulence now gone. 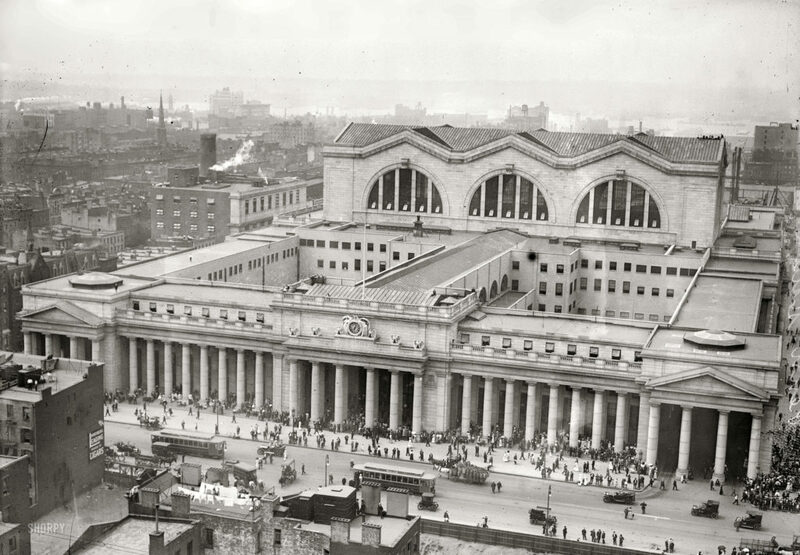 Why was Penn Station destroyed? 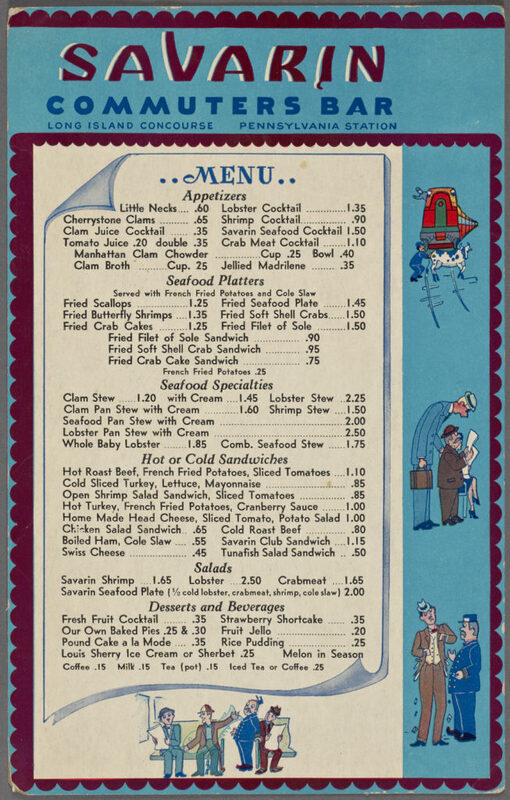 If you answered MONEY!, you’re only partially right. 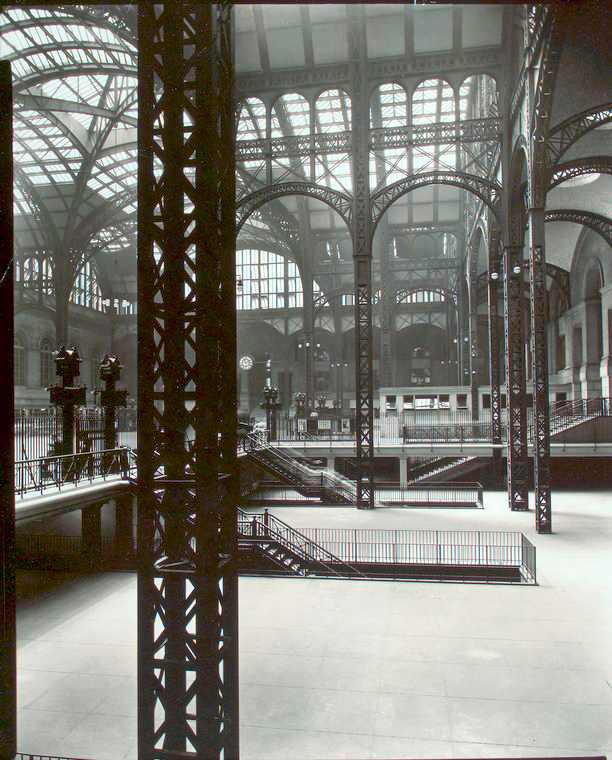 This is the story of an architectural treasure endangered — and a city unprepared to save it. 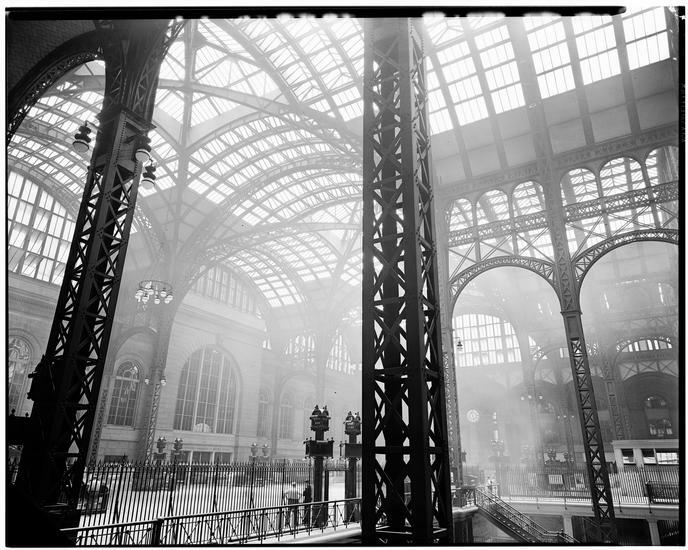 Should something so immense be saved because of its beauty even if its function has diminished or even vanished? 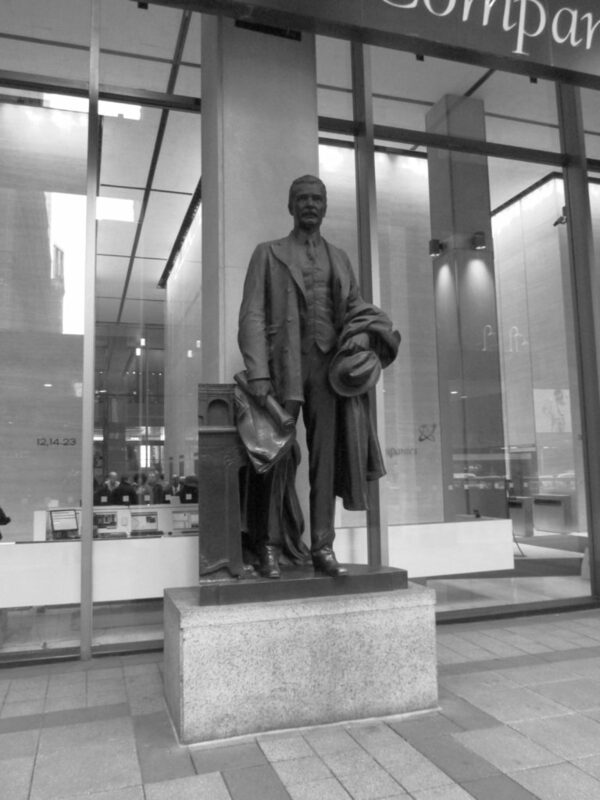 Does the public have a say in a privately owned property? 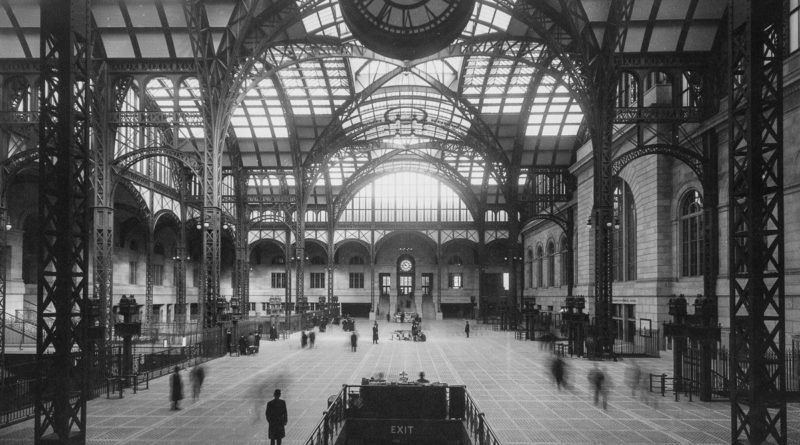 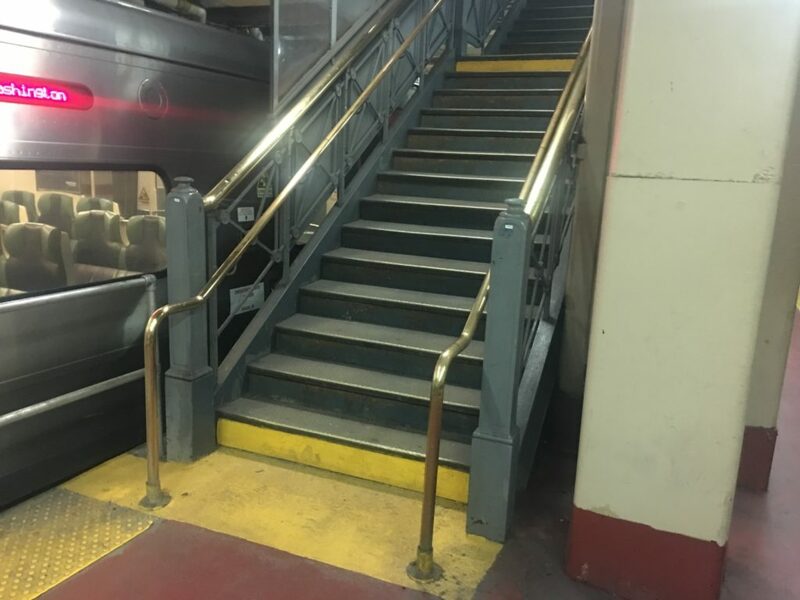 PLUS: We show you where you can still find remnants of old Penn Station by going on a walking tour with Untapped Cities tour guide Justin Rivers. 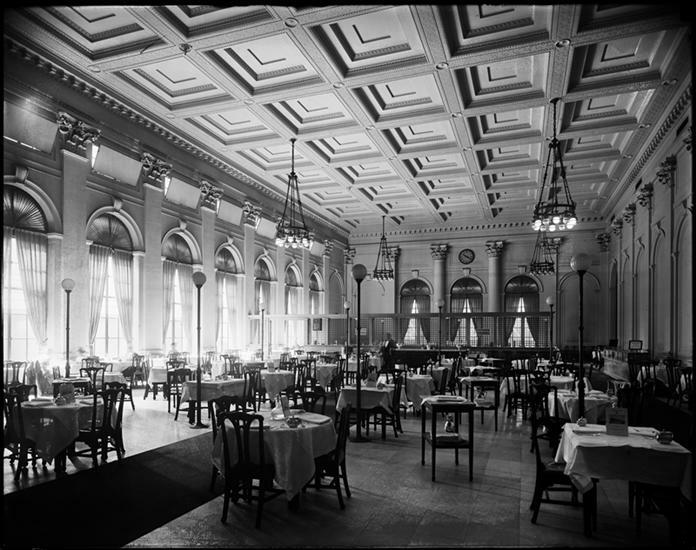 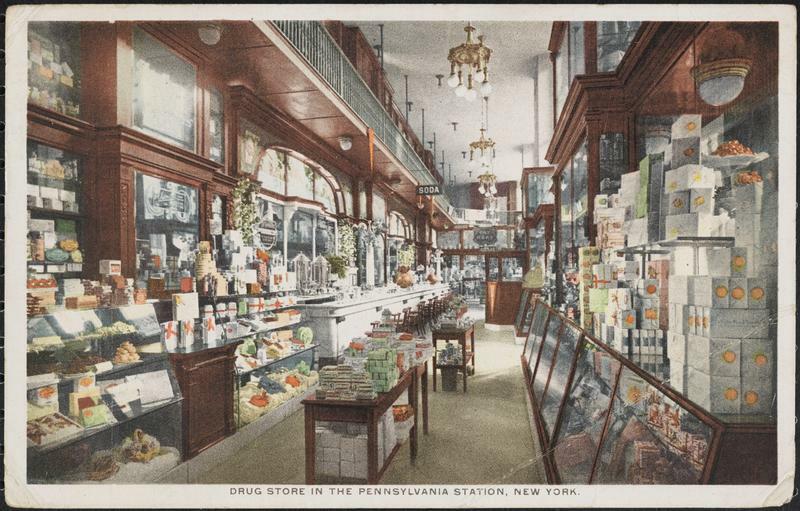 The Pennsylvania Station restaurant, found after one stepped through the arcade but before the waiting room. 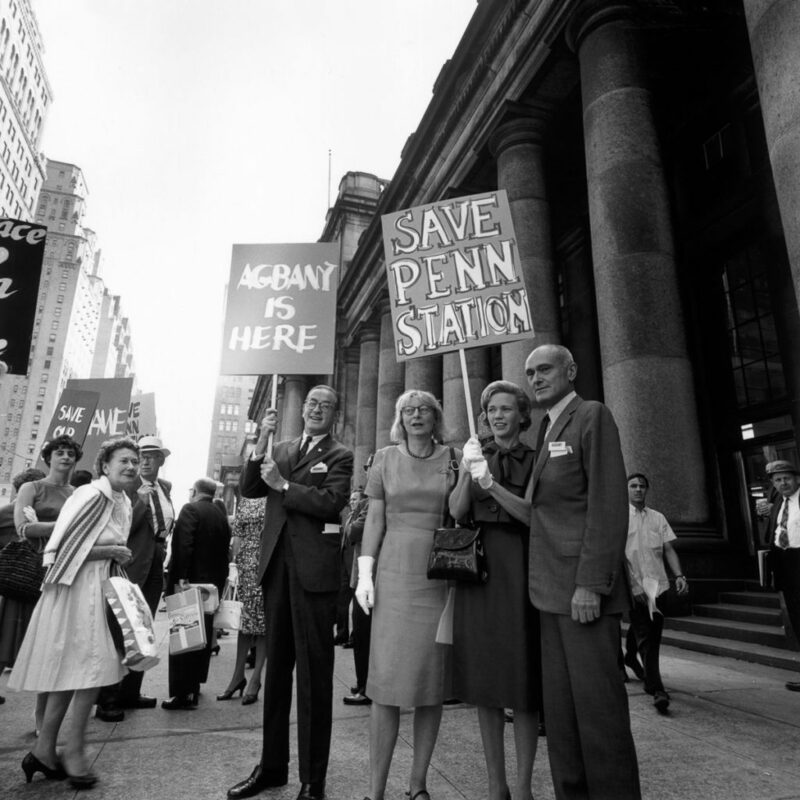 The AGBANY protesters including Philip Johnson and Jane Jacobs. 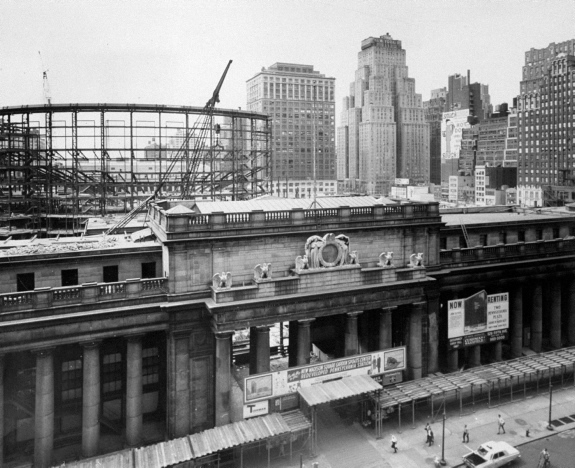 Madison Square Garden rose as old Penn Station was slowly demolished. 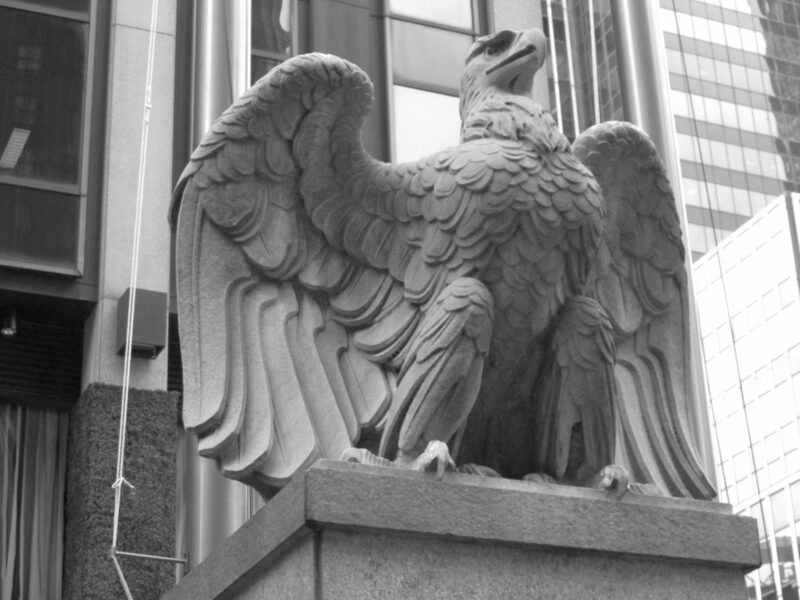 A couple eagles still flank the 7th Avenue side of the Madison Square Garden/Penn Station complex today. 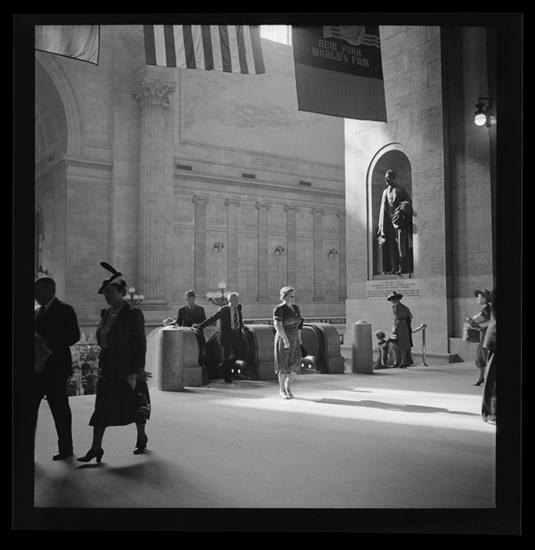 The Samuel Rea statue that once greeted commuters from the original Penn Station loggia. 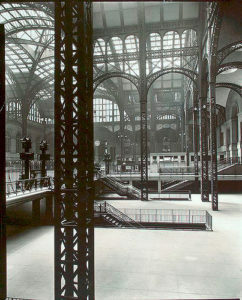 In his hands are blueprints to the old Penn Station and a model of the station to his side. 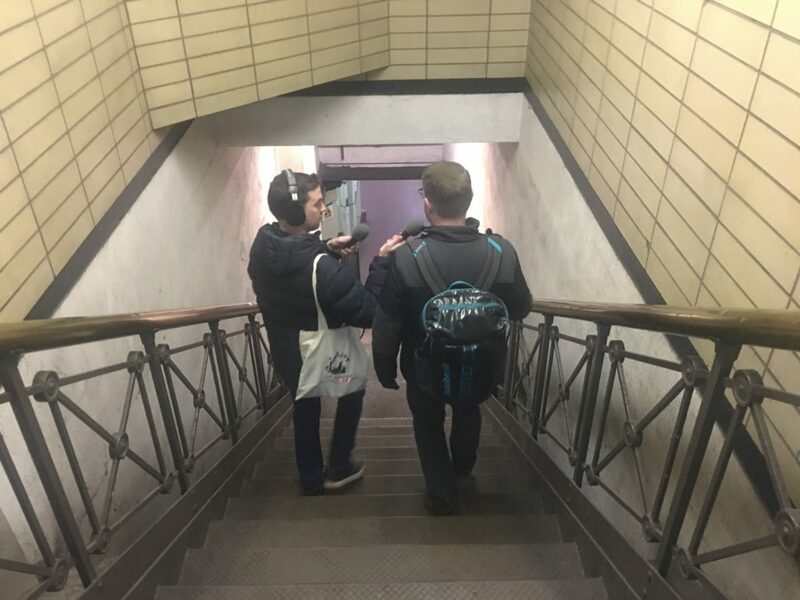 Tom and Untapped Cities guide Justin Rivers walking down one of the original Penn Station departure staircases, still in operation. 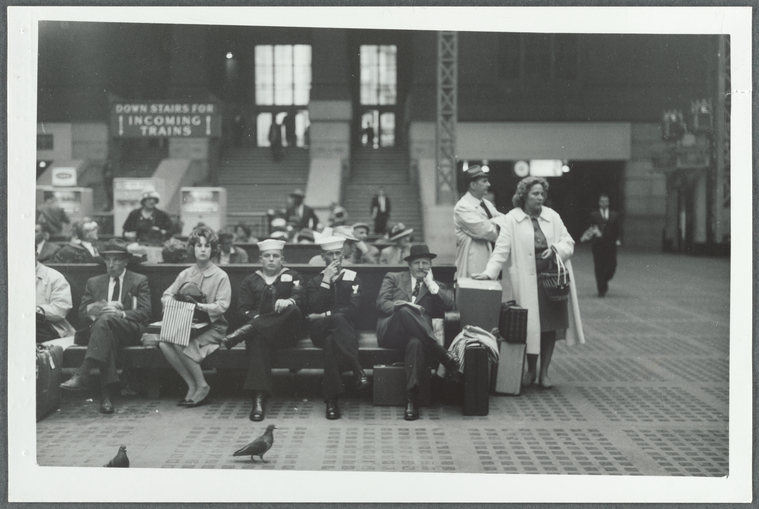 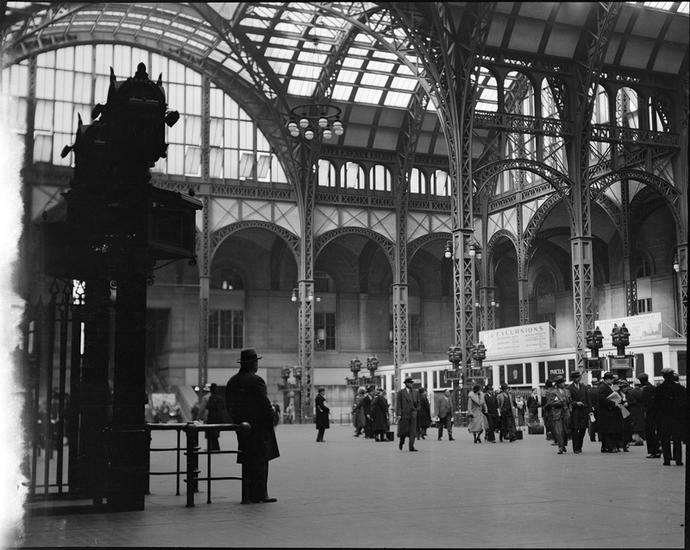 The story of Pennsylvania Station involves more than just nostalgia for the long-gone temple of transportation as designed by the great McKim, Meade and White. 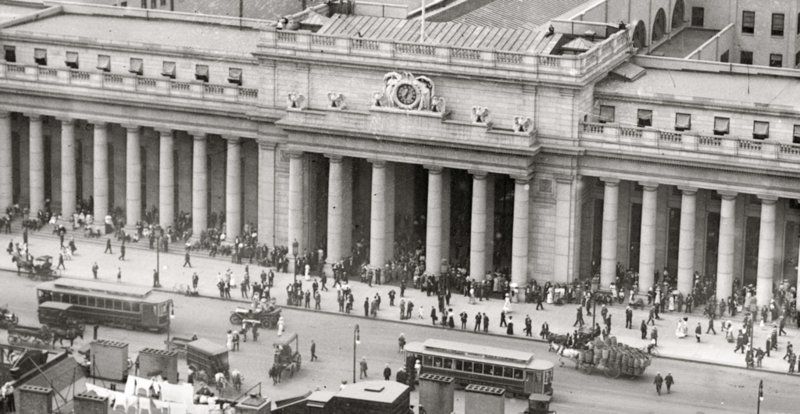 It’s a tale of incredible tunnels, political haggling and big visions. 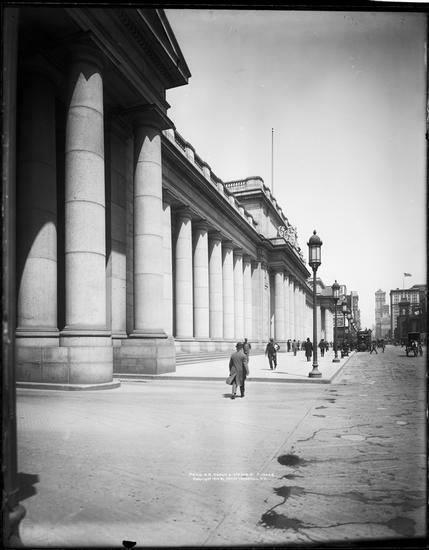 Special thanks to Kieran Gannon for helping with editing this week’s show.